As an entrepreneurial innovator in the publishing and book-distribution industry, Eric Kampmann has packed many significant milestones into a long and varied career. Even still, he tempers whatever he might claim as his own success with the reality that everything good that has happened in his life can be attributed to God’s awesome grace made manifest during the very lowest moments when his business was on life support. 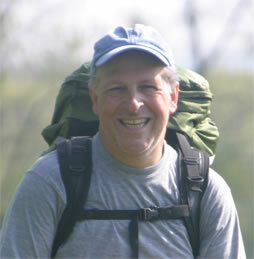 An author of four books, Eric founded and presides over several companies. He is president of Midpoint Trade Books—one of the leading sales companies representing hundreds of publishers. He is president and owner of Beaufort Books, which reached national recognition in 2007 by publishing the controversial bestseller, If I Did It—O.J. Simpson’s autobiographical account of the murders of Nicole Brown Simpson and Ron Goldman. For If I Did It, Eric led a small army of mostly young workers through an almost impossibly short schedule to achieve the No. 2 nonfiction position on the New York Times Best Seller list, a remarkable feat by almost any standard but especially considering the book’s stigma. It was previously cancelled by a major publishing house that had been universally condemned for paying Simpson a million-dollar royalty advance to write the book. Eric, nevertheless, moved ahead for reasons few at the time understood. For between the time the book was cancelled and Eric’s involvement, the lawyers for the Goldman family had won the right in court to use the Simpson manuscript as a means to achieve some level of financial restitution for the murder of Ron Goldman. Eric saw a way to help the Goldman family achieve their goal while depriving Simpson of any further compensation for the book. Little did he realize that the publication of If I Did It would also partially be responsible for landing Simpson in jail for another crime committed in Las Vegas. Ivy League-educated, Eric has taught book-publishing courses at Harvard, Columbia, New York University, Hofstra and elsewhere. He has also held key management positions at Viking Press, St. Martin’s Press and Simon & Schuster, where he served as head of sales. In 1981, he founded Kampmann & Company, a distribution resource for independent publishers. It would prove to be his best, worst and best career move. He describes the ascent and fall in his book, Signposts: A Devotional, and in his recent blog post. The first part of the answer arrived when Eric, his new company in the throes of financial crisis, found himself overwhelmingly drawn to the best known book ever written, the Bible. Overcome with the impulse to buy a Bible, he left his desk one day, did so, and began a discipline of daily reading that he credits with dramatically altering the course of his life. But that wasn’t the only benefit. After reading Signposts, numerous acclaimed pastors and professors endorsed the book and praised his biblical insight and found his scriptural discernment both highly intuitive and theologically accessible. During the rebuilding of his company, he adopted another formative pastime, hiking the Appalachian Trail—a 2,178-mile-long trek he revisits regularly. His daily Bible study and the hikes inspired the profound wisdom and rich imagery of Signposts, as well as informed two devotionals he wrote earlier, Tree of Life: A Book of Wisdom for Men and Trail Thoughts: A Daily Companion for Your Journey of Faith. He also wrote The Insider’s Guide to Book Publishing Success.